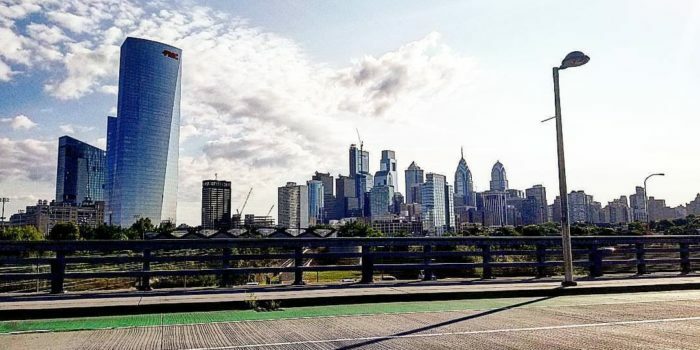 Philadelphia is the perfect city for wandering. Those stately colonial homes and ornate Victorian-era brownstones create a quaint scene. 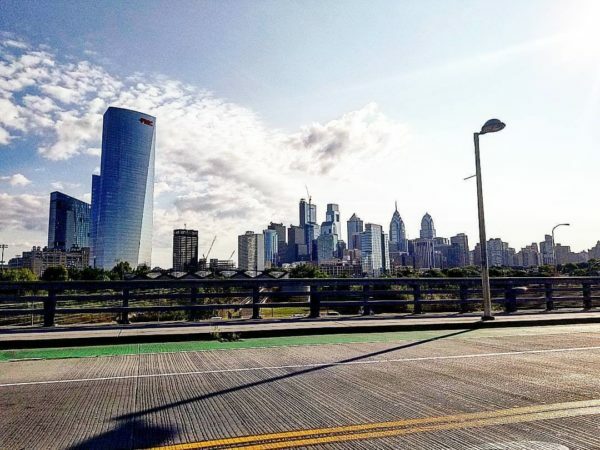 Whether you are a tourist checking out the area, a student trying to find something to do between classes, a worker on a lunch break, or a long time city resident, there’s lots of exploring that can be done in this city. The thing is, when you explore, you get hungry. 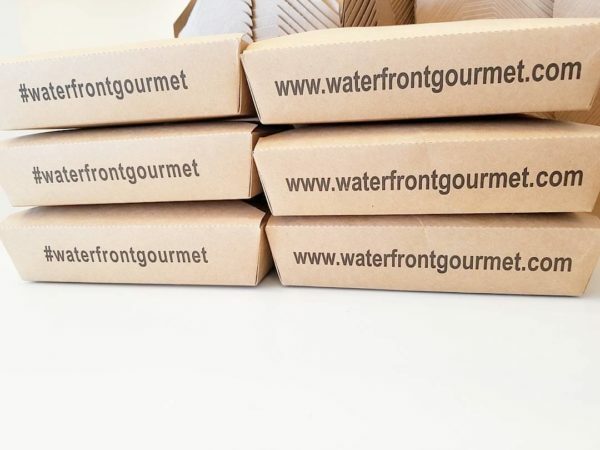 Well, you could come on in to Waterfront Gourmet. We are the perfect spot for Center City deli dining. Our menu can satisfy any type of hunger, whether it’s the kind that requires a light snack or something that must be conquered by a hearty meal. We just don’t think anyone can resist our gourmet sandwiches, paninis, and hoagies. 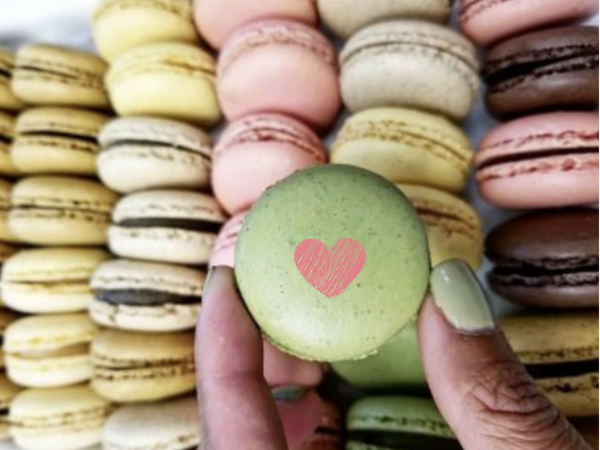 We love them and you will too. How about a Steak Quesadilla loaded with deluxe roast beef, spicy mayo, red peppers, onion, cilantro, and pepper jack cheese? Yes, please! No deli is complete without the classics. We’ve got loads. Our Waterfront Club is always a winner. We fill this triple-decker toasted sandwich with your choice of turkey, tuna, grilled chicken, chicken salad, or roast beef. Then we layer on the lettuce and tomato and add a hearty helping of crispy bacon. Yum! We’re getting hungry just thinking about it. Then there’s our tuna melt – because sometimes the simplest sandwiches are the tastiest. We can say ours is because of the premium tuna and melted Swiss cheese, the fresh, juicy tomato, and hearty multigrain bread. Bacon lovers (and who isn’t) go crazy for our Cali BLT because we top it with loads of bacon, lettuce, tomato, and a bit of tasty avocado. Choose your favorite fresh baked multigrain bread and you’ve got yourself the perfect sandwich. 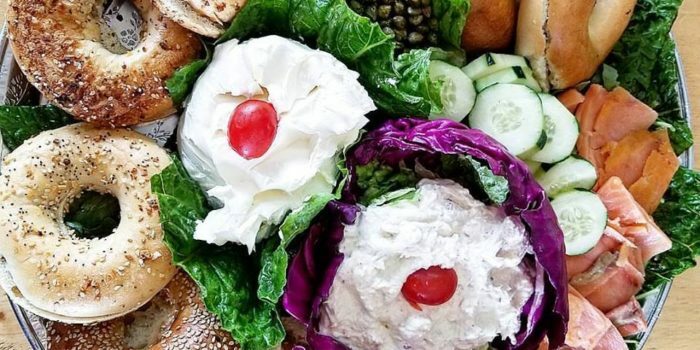 Fancy something a bit different when it comes to Center City deli dining? We’ve got just the sandwich. 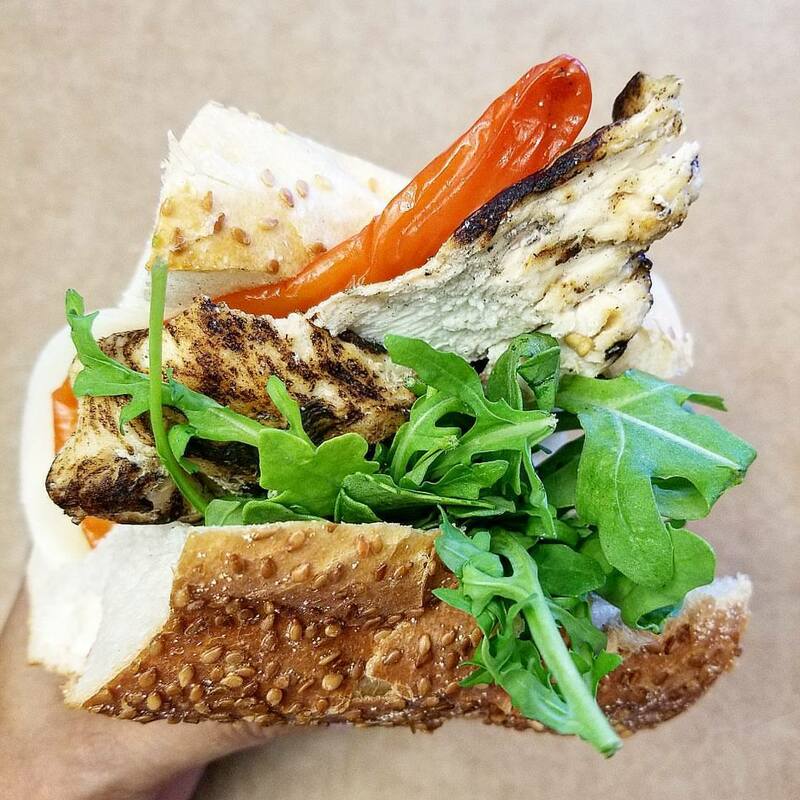 Our Paisano Panini is a complex blend of flavors and spices, grilled chicken breast, prosciutto piccolo, and sharp Provolone cheese topped with arugula, fire roasted peppers, and a schmear of basil pesto – and it is exactly what you’re craving. Want more? Well, Waterfront Gourmet makes fusion food perfection with the Naughty Teriyaki hoagie. We blend an Ichiban style chicken breast with melted pepper jack cheese, red onions, red peppers, scallions, and spicy mayo for a mouthwatering sandwich that you just can’t resist.  If you’re a vegetarian, Waterfront Gourmet has plenty of tasty treats on the menu just for you. How about our Veggie Cartelle Burger with pepper jack cheese, spinach, tomato, onions, sprouts, avocado, spicy mayo, and a pickle? This sandwich giant beats any burger. Burritos don’t get any tastier than our Picante Tofu, which features slices of organic tofu, fried eggs, salsa, tomatoes, avocado, and cheddar cheese, while our spinach, red pepper, mushroom, and pepper jack cheese Veggie Panini blends hearty and healthy perfectly. You will happily submit to our Tofu Sub because of the organic tofu, and the fresh spinach, tomatoes, sprouts, scallion, avocado, the spicy mayo, and the simple and absolute deliciousness that makes this sandwich. 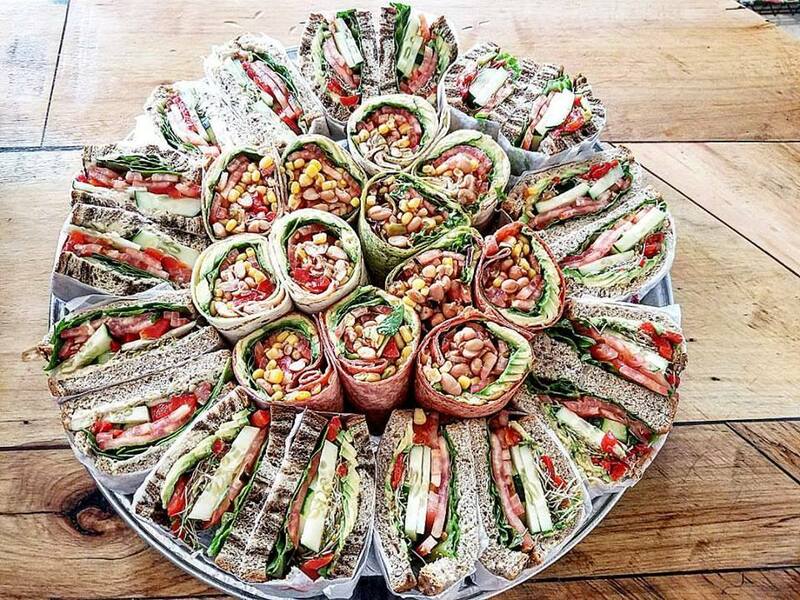 That’s just a hint of the vegetarian sandwiches that are available at Waterfront Gourmet. You’ve just got to come in and try some. When you dine with us, your meat-eating friends are probably going to be eyeing your sandwich pretty hard, but you don’t have to share if you don’t want to. Every sandwich we make comes with chips and seasonal salad, or you can make a meal from our extensive selection of gourmet salad and soup. What about breakfast, you say? Well, we do it just right at Waterfront Gourmet. Our Breakfast Egg Sandwich is comprised of home fried eggs, American cheese, and your choice of bacon, ham, or sausage, and it’s pretty awesome. We’ve got bacon, ham and egg burritos and panini, too, and plenty of bagels, and other delicious breakfast sandwiches. Breakfast just isn’t breakfast without coffee. 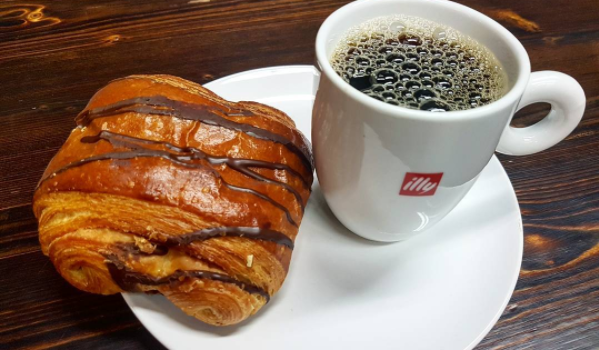 We make ours with fresh roasted Illy coffee beans; Italy’s finest, and we brew a great cappuccino, espresso, Americano, or latte; or you can try our cold brew and iced coffee. What we’re trying to say is that we just want you to think of us whenever you are looking for Center City deli dining. No matter where you are in the Philadelphia area, there is probably a Waterfront Gourmet nearby. That’s because we’ve got four locations – Penn’s Landing, University City, Roberts Center, and Dilworth Plaza, so you can come on by and visit any of them to get the delicious deli classics that you’re craving. Want to know more about our menu? Check us out at WaterfrontGourmet.com or just come on by and give us a try. We simply can’t wait to make you a totally delicious sandwich! Previous article	On the Go for the Holidays? 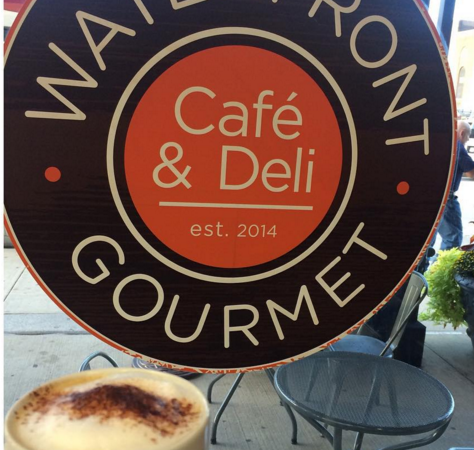 Stop at Waterfront Gourmet!